My family and I are fans of Gorton's Seafood. 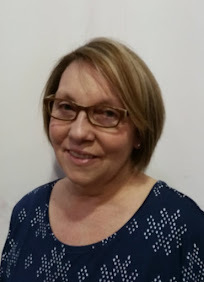 We have tried many of their new products as they come out and always enjoy them. This time we tried the new Smart & Crunchy 100% Wild Caught Alaska Pollock and oh my this has been the best on so far!! I loved the fresh taste of the fish and the crunchy batter. 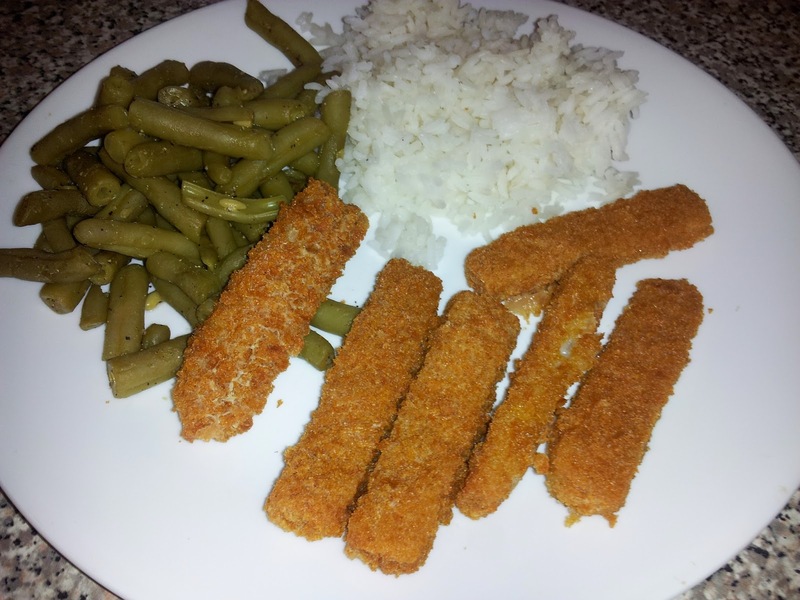 I wanted to make a simple and fast meal for my family so I made green beans and jasmine rice to go with our Smart & Crunchy Fish Sticks for dinner. My son loved them and wanted more, I had to bargain that he eat rice and veggies before he could, he clear his whole plate for more fish sticks. 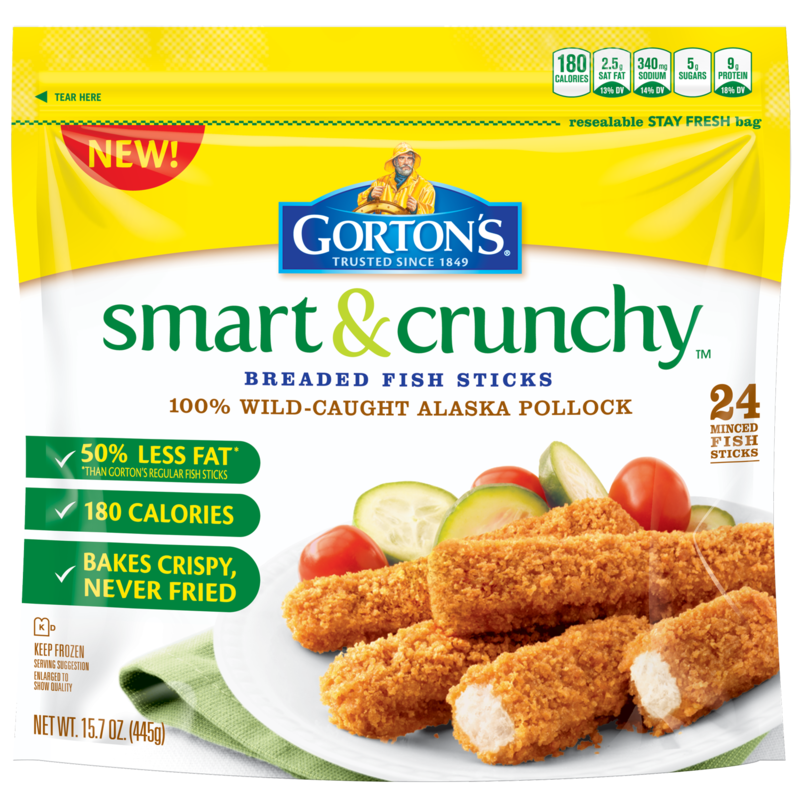 Always crispy, never fried, Gorton’s Smart & Crunchy Fish Sticks have 50% less fat than Gorton’s regular fish sticks and are 180 calories per serving. 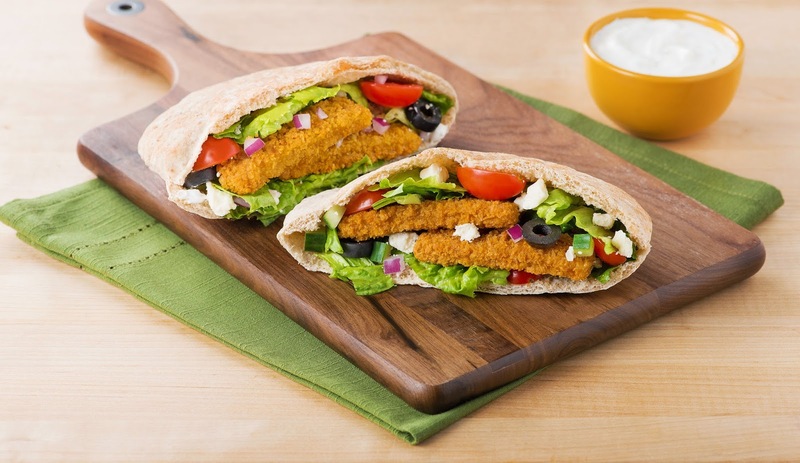 Smart & Crunchy Fish Sticks & Fillets are made with 100% wild-caught Alaska Pollock. 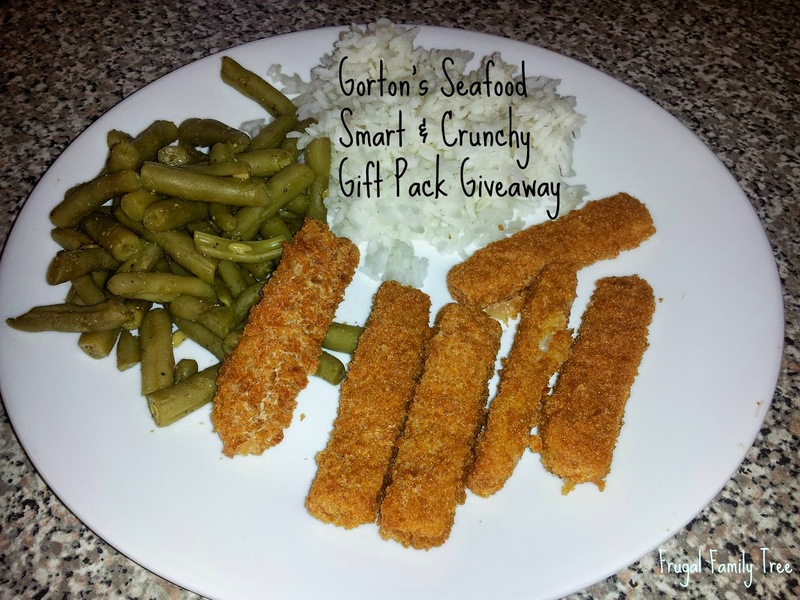 Smart & Crunchy Fish Sticks & Fillets are breaded in a tasty panko breadcrumb that gives them a great crunch your family will love. Gorton’s entire line has no artificial flavors, and no MSG. Fish and seafood are natural sources of lean protein and critical nutrients like vitamins and minerals including iron; zinc; and vitamins A, B and D.
Gorton's is easy to keep in your freezer so you always have a nutritious and great-tasting meal on-hand. You can check here for Gorton's Coupons to print for your next trip to the grocery store. *Limited to US residents 18 years old and above. 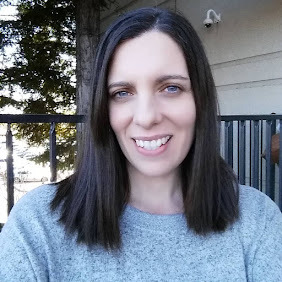 Giveaway starts May 7, 2015 and ends on May 17, 2015 at 12:01 am EST. Winner will be emailed and has 72 hours to respond before another winner is selected. I was not paid for this giveaway or post. The opinions on this item are 100% mine and may vary from others. The sponsor is responsible for providing the prize. I was sent a product to review for this post. I would make a nice Southern-style seafood dinner w/potato salad,sweet peas and steamed broccoli. 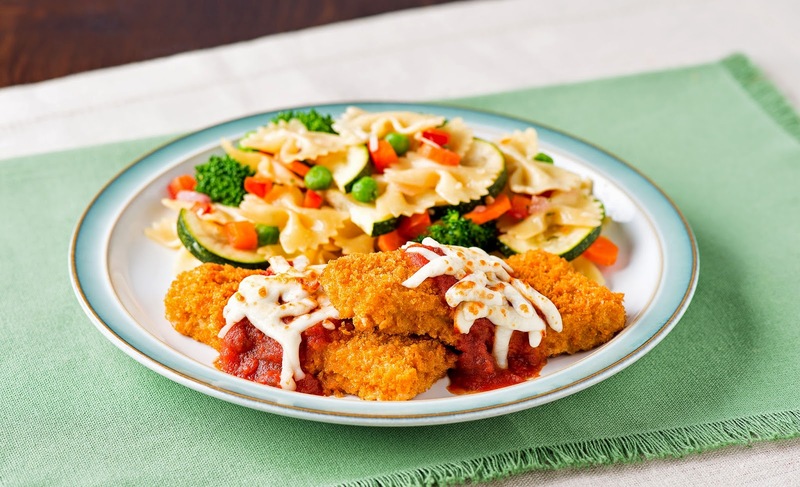 I would make the Fish Parmesan with Pasta Primavera. It looks so delicious and I think it would be a big hit with the family. They have a recipe on their site for a Tex-Mex salad that I would like to try out. I would like to make Root Vegetable Fries with Smart & Crunchy Breaded Fish Sticks. I think my family would enjoy the Caeser salad wrap and the fish stick taco salad. I would like to make the Fish Caesar Salad Wraps, they look delicious! I would make fish stew.